Homesteading is hard. And it can feel pretty overwhelming at times. Between caring for livestock, tending to your gardens, and preserving food, it just doesn’t seem like there’s enough time in a day. We are so busy trying to live a simple life we often forget why we chose this lifestyle in the first place! But it doesn’t have to be that way. 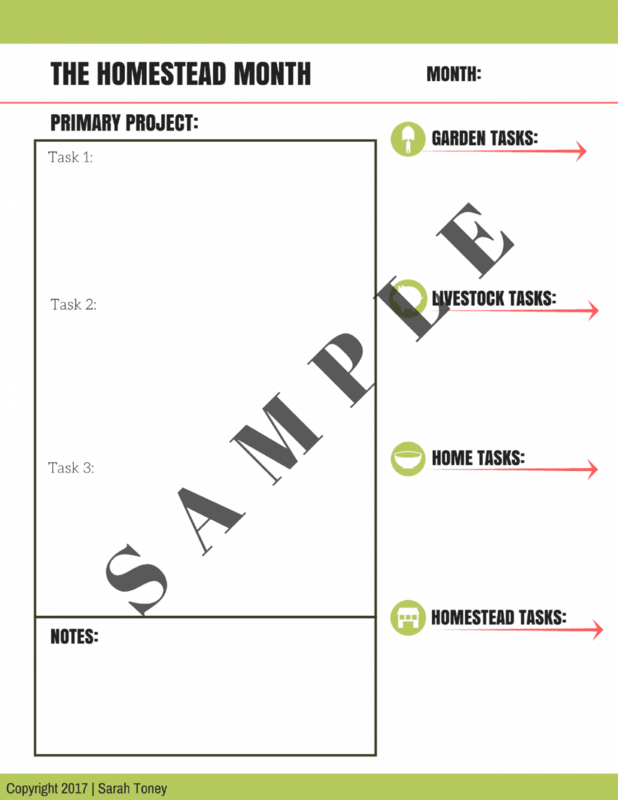 What if there was an easy way to manage your homestead tasks? What if there was a way to cut through all the clutter and figure out which tasks matter most? What if you could manage your time better and get all those ideas into results? What if you really could build the homestead you want in the time you currently have? Well, guess what? It is possible! And this is exactly what the Homestead Goal Planner is all about. 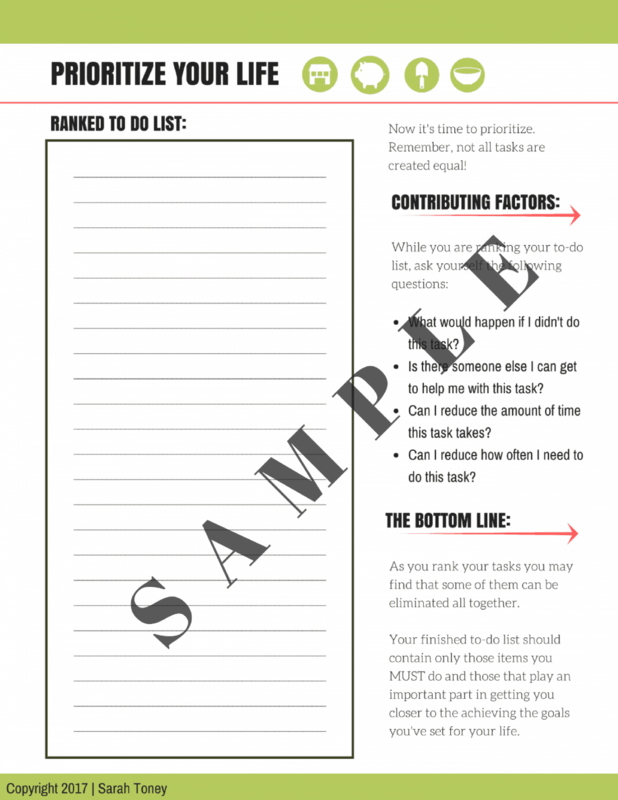 This simple but practical workbook give you concrete steps to help you streamline you homestead tasks, while giving you an easy-to-implement system for managing your time so that you can achieve your big goals in the time you have! Understand the secret to making the most of your time and how to implement it in your life. 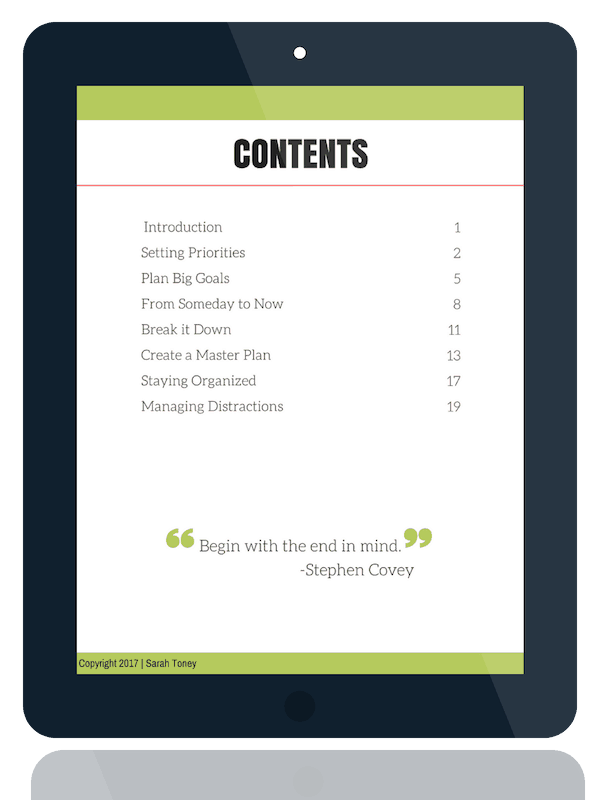 Learn how to break down all of your big goals into manageable pieces that are easy to implement. Discover how to plan your days and weeks to keep yourself, and your goals, on track. Break free of your limitations and finally make your ultimate dreams a reality. 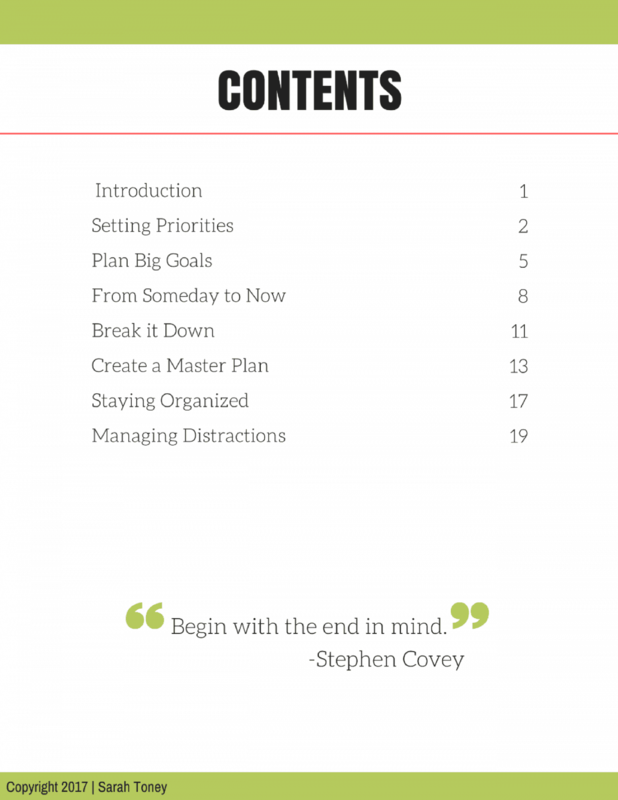 Discover how indepth planning and focus will help you get more done in the time you have. Learn how to balance life and eliminate the tasks that don’t help you reach your goals. When you are short on time the last thing you need is to waste it! 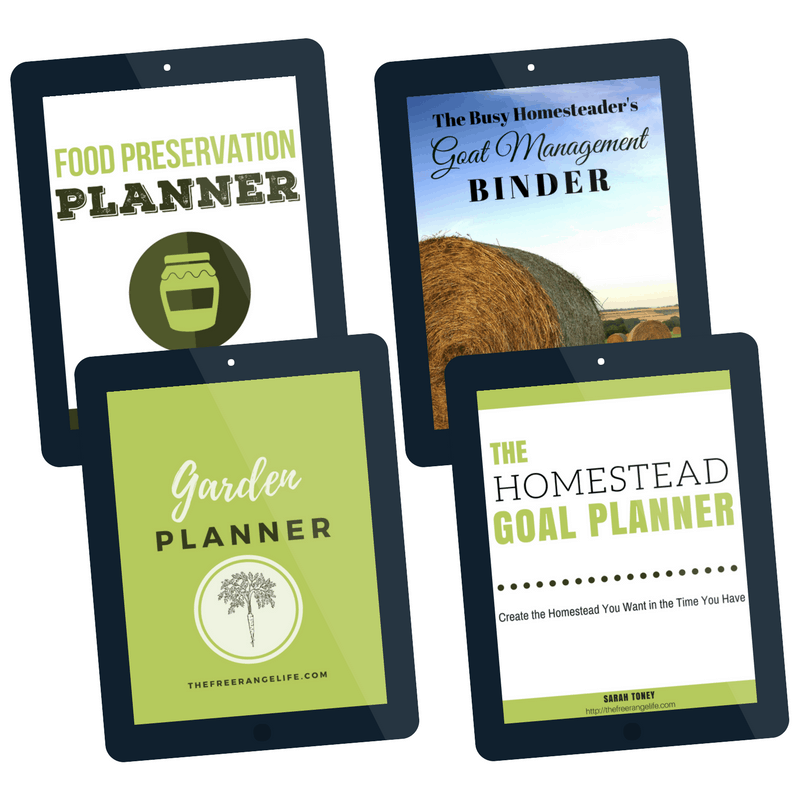 The Homestead Goal Planner is straight-to-the-point and gives you actionable steps to take to prioritize your homestead and get started on making your big goals into a reality. If you feel stuck or frustrated with your lack of progress or if you just aren’t getting everything done that you want, let me show you how to stop spinning your wheels and start focusing on what is truly important to you. You will learn how to change the way you look at your time and how to implement these goal reaching strategies to make you- and your homestead- more productive. 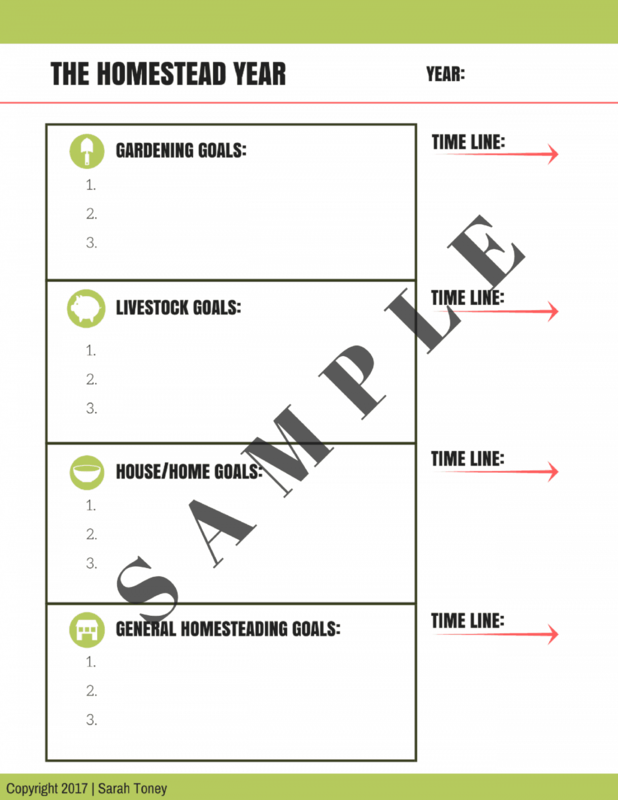 The Homestead Goal Planner is a digital goal planning guide. 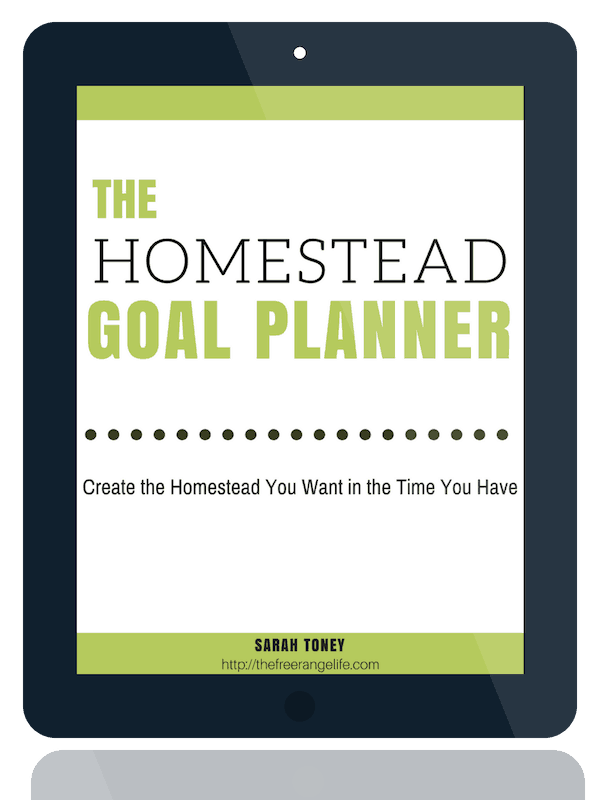 It is perfect for homesteaders in all stages to help create clear goals and action steps to creating their dream homestead. Here’s a peek at just a few of the pages you’ll find inside. The truth is, we all have 24 hours in a day. The difference is in how you use those hours. It’s time to set your priorities and make a plan. Your dream homestead, and life, is waiting.